Welcome to Day 1 of June Series Multi-Level Marketing in the Philippines. If you missed the introduction then you can click this LINK or visit the post yesterday. Multi-Level Marketing is a strategy where in direct sales companies encourage distributors to recruit new distributors with the promise of percentage from each recruit's sales. Day 1 is all about Multi-Level Marketing. 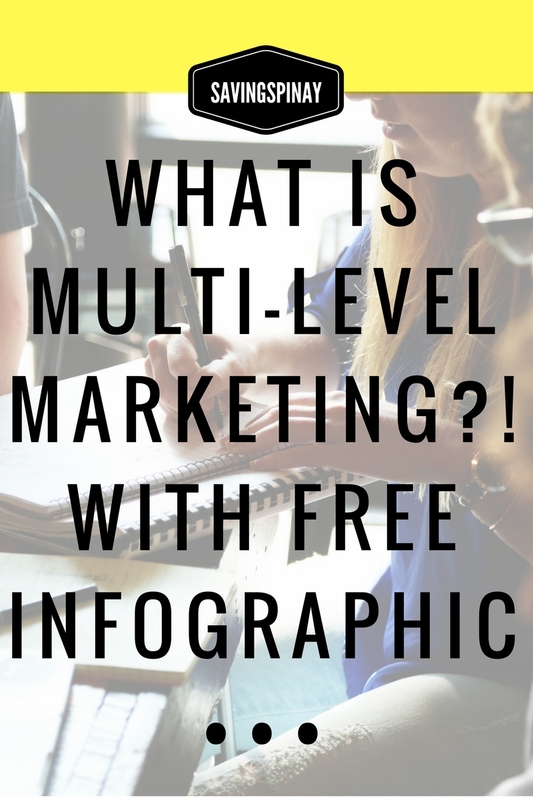 In this post we will be defining what Networking/Multi-Level Marketing is, How it Works and More. But first let's have a rundown with the terms commonly used in Networking/Multi-Level Marketing. Network Marketing is any form of selling that permits an independent distributor to recruit another distributor and draw commission from the sales made. Leads are people who have shown interest in the product, service or business opportunity also known as prospects. Payout is the term for the company's payment to its distributors either in the form of commissions, bonuses or overrides. Recruit is a prospect who have joined as a downline. Downline are all the people recruited as distributors into a networking/MLM company. Downline can be your recruit or people recruited by your recruits. Upline are all the people above you in the networking/MLM company. Upline can be the person who recruited you. Commission is the percentage you earn through your sales in the networking/multi-level marketing business. Circle of Influence is the people who are close to you and can be easily encouraged to join the network you are part of. Team Leader is someone who provides guidance, instruction, direction and actual leasdership to a group of recruits in order to achieve good standing in the Networking/Multi-Level Marketing. Team Effort refers to the group acting together as a team and/or for a common cause. The diagram above shows how multi-level marketing works. The Multi-Level Marketing Company searches for distributors of the product, service and/or business opportunity being offered. Each distributor then recruits people (downline) to help distribute product. A commission is give for every recruit and every product, service or business opportunity made. How To Get Started in Network Marketing/Multi-Level Marketing? Most people find out about the network business through word of mouth from family members and/or friends. You will be invited first to go to the office and attend the product, service and/or business opportunity meeting. You will seat down along with other individuals who have been invited to join. The free training program lasts about an hour wherein an upline shares how the business works and what's in it for you. Some past recruits shares their success stories too. Attending the program will help you assess whether networking is for you. You may or may not come up with a decision upon first visit. The person who have invited you will pursue another opportunity to talk to you until you've made up your mind. You can however say that you do not want to do business with them. Once you become a prospect client you will learn the return of profit the multi-level marketing business can do. Be wary when they claim too much in such a short period of time. This promise can a warning sign that the network company is a scam. As you become part of the network company you will be asked to recruit other distributors under you to maximize your earning potential. The same pattern of event will happen. You'll discuss the product, service and/or business opportunity, invite them to hear out the free training program and wait for their possible response to the business. Below are excerpts from my February 2014 post entitled Tips on Joining Multi-Level Marketing MLM. Multi Level Marketing or Networking is considered as the newest and fastest way to get rich. It involves investing a certain amount of money and selling products manufactured by the MLM firms along with doing recruitment for new members or investors of the business. And as any investment goes, there is actually no certain time or amount that your money will grow. It is saddening to know for a fact that there are also companies that are only for scams. They will get your money and promise you big returns only to find out that they don't even exists. The Amman Futures scam has been a big issue for Visayan and Mindanao region last 2012.f you are planning to invest in Networking Companies i am hoping that you will read first these handy tips so that your money will be protected. These three tips are ideal for you to succeed in the Networking business. Take note that not every networking is a scam as not every networking is legit. The best attitude of a good investor is the keen mind and time to research. With so many MLM companies to choose from its hard to distinguish what's best for you. Understanding the company is very important so you'll not lose all your money. Without basic knowledge you could be setting yourself in a big financial loop hole. Being in the Networking/MLM business requires time, effort and money. So you might as well study more. Its important to know whether the company you are joining have already spent at least two years in the networking/multi-level marketing business. Rookie companies or those who are active for just 6months-1 year are still vulnerable to sudden loss of income. You can sell better with a product and/or service that you use and you love. Do not assume that people can easily be recruited just because you gave your claims and testimony. People are now more intelligent than ever and they can see through you whether you are sincerely promoting the product, service and/or business opportunity. How does the people feel? Do they have good management on their distributors? Are there cases of late payouts? Are there instances of bad reaction from the public and/or severe cases that can initially ruin the business. Again I am not affiliated in any of the following network companies. The list is pure for information purposes only. The list is arranged randomly and is incomplete. Is Networking/Multi Level Marketing for You? 1. You can take risks. If you are conservative and have no patience in growing your money then joining a network business is not for you. There's a lot of risks involved in a MLM company especially when uplines start to partway and find other product, service and/or business opportunity to sell in quest for higher sales. 2. You have good communication skills. Having good communication skills is a good advantage in the line of networking. If you are an introvert then don't get easily discouraged there are a lot of tips from the internet on how to make a sale if you are shy-type. 3. You are open-minded. Again if you don't like the idea of networking and you are easily discouraged with how the multi-level marketing business goes then don't even bother to say yes to a recruiter's invitation. You will just be wasting your time. I hope this post helps. See you tomorrow on Day 2 of the June SavingsPinay Series. Day 2 will focus on How to Succeed in Networking/Multi-Level Marketing. Frequently Asked Questions About Saving Money - New!